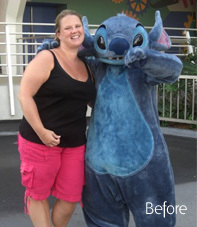 Laura Knopp tried loads of different diets over the years before finally deciding to join Nutracheck seven years ago. 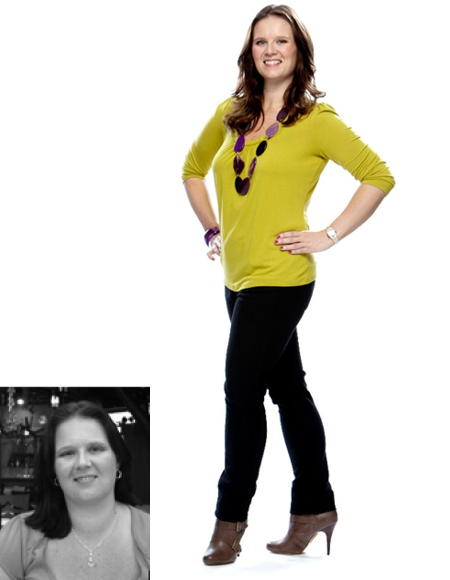 She lost a staggering 5st70lbs31.7kg stone using her food diary and is now a firm advocate that this is the most successful way to lose weight. I'd tried other diets with some success, but then always ended up putting the weight back on. When I looked at my Christmas 2008 photos, I realised I'd gone back to old habits and let it go once again. I was struggling to be motivated and felt I didn't have any willpower. I was at my largest and not getting any smaller. I decided to follow a very low calorie diet as a temporary kickstart after checking with my doctor. It consisted of shakes, soups, loads of water and absolutely no food. I lost 15lbs in my first two weeks and it gave me the motivation to carry on. I stuck to it for two months and lost around 2.5 - 3 stone. I knew I couldn't carry it on long term, so I turned to Nutracheck. I lost steadily over the years right through to September 2010. Whilst I wouldn't recommend the very low calorie diet to everyone, it was the kickstart I needed to get me out of a rut. Being deprived food altogether actually made me crave healthy food and appreciate it more. Since then I haven't looked back. There have been times when it's been difficult and I've put weight back on, but I get back on track and keep going yet again. I'm now back to my lightest in 3 years and still on the downward trend to get back to where I was in September 2010 but I'm more mindful of the type of foods I eat and how much exercise I do. I bought an activity tracker just over a month ago and now make it my goal to do at least 10,000 steps every day (not as easy as it's sounds!) in addition to working out 6 times a week. So I'm a lot more toned and fitter than I've ever been. I appreciate food a great deal more and realise what damage I was doing to myself by being overweight. When I'm finding it tough, I recall what I used to feel like being overweight and how much better I feel now. I can walk into a shop and pick up what I want without even having to try it on or squeeze into it hoping that it'll fit. You need to do it for yourself. It doesn't matter how many people tell you that you need to lose weight, you've got to want to do it. Will power is key and you need to struggle through the weeks where you don't lose weight as eventually it does come off again. Exercise even if it's just something simple like walking. I used to hate it, but I joined my local leisure centre that has a pool and gym. At first I just did Aquafit sessions then did sessions in the gym in between Aquafit, now with costs being all important, I just make sure I do my steps every day and mainly use Jillian Michaels DVD's at home 6 times a week making sure I vary it every month so I don't get bored. Also, there are no excuses! It's up to us to make that change and want to lose weight. There's always something in the way of losing weight and becoming healthy, and we use these as an excuse not to do it. You will always find an excuse, but it's how we deal with it that matters. Make the decision to lose weight and keep going. Keep your goal in mind, no matter how long it takes to get there. How have you made the diet fit into your lifestyle? It's my lifestyle now. I adapt what I do around my diet. I still eat out, but not as often as I used to. When I do eat out (for special occasions in particular), I just make the most healthy choices I can or I'll enjoy it and eat what I fancy but get back on track straight after. I stick to my planned exercise and make sure I make myself do it each time - there's no better feeling that just after a workout and you're feeling alive and boosted. My holidays! We take thousands of photos each holiday and each time I find I look smaller. We tend to take two main holidays each year and a few short breaks which motivates me to keep the weight off. Fantastic. I'm more confident, healthy and motivated. Back in 2010 I did a 7 mile Walk in and was able to power walk up a very steep hill leading our party and actually didn't feel too out of breath. Two years prior I would have struggled to even get up that hill, let alone run it! I can now walk for miles without feeling out of breath and take the stairs everywhere we go rather than the lift or escalator. It's all exercise - no matter how little.